This is the US release of the album which was called Messin' in the UK with a slightly different track listing and different artwork. 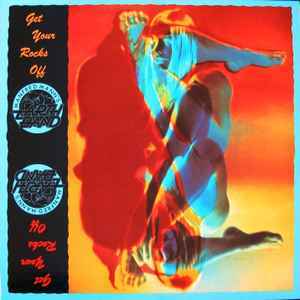 This is not the same release as Get Your Rocks Off as it has a slightly different centre label version and runout etching. Some commercial versions of the album were used as promo, carrying a Polydor sticker with the text 'Promotion Copy Not For Sale' (see image). Besides the sticker those items are the same as the standard versions and are therefore not considered real promos. However there is also a real promo version available which has a different centre label (white instead of red with promo advice).